One of Oslo’s newest attractions is one of its oldest parks; the Ekebergparken established in the 19th century just opened a sculpture garden in September. The park is large and spacious enough for the artworks not to be visually intrusive, but they are of such high international standard that they justify the trip alone. 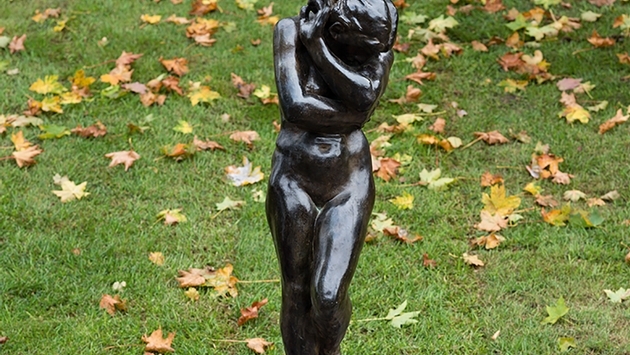 The sculpture park features 30 notable works of art on the theme thematic concept for the park – “homage to woman”. Edvard Munch found his inspiration for his famous “Scream” painting in the park. The sculpture park’s artistic spectrum ranges from Rodin and Maillol to Dali and Louise Bourgeois. Oslo will also open a Munch Museum in 2017-18 as well as a new National Gallery in 2017-18. Brussels’ new Musée Fin de Siècle tells the story of one of Europe’s most dynamic arts and intellectual periods, which took place at the turn of the 19th and 20th centuries. The museum is an outgrowth of the Royal Museums of Fine Arts of Belgium, which in 2009 diverted much of its collection to create the Magritte Museum. The third phase of this reorganization comes in 2017 when Brussels opens a new modern arts museum. The Musée Fin de Siècle, which opened Dec. 6, will present photography, architecture, film, music and literature as well as a fine collection of Art Nouveau furniture and decorative art work. Little London, The Greatest Model City on Earth, will open in 2016 and give the city visitors a way to comprehend the lay of the London land. The highlight of the museum will be an interactive 1-to-150 scale model of central London. Located between Tower Bridge and City Hall, opposite the Tower of London, it will attempt to tell the story of the city with some of its most famous characters from London mayor Boris Johnson to Jack the Ripper.